The 2016 Château d'Aiguilhe ($37.61) of Château d'Aiguilhe: a red wine from Castillon-Côtes-de-Bordeaux that contains grapes of 2016. 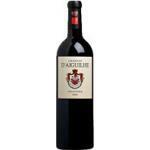 At Uvinum, this red wine scores an average rate of 4 of 5 points and obtained the following scores: robert parker: 90-92. - View: Château D'Aiguilhe 2016 shows a ruby ​​red with good intensity, with a light purple reflection. 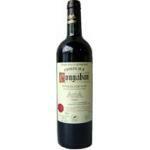 - Nose: Intense nose revealing woody and fruity notes; notes of cinnamon, licorice, blackberry and candied fruit. - Mouth: The palate is attack is sweet, fruity and with good intensity. The body is fresh and has a good structure. Tannins reveal slowly, but they are not yet able to compete fully with the acidity. nice finish marked by fruit. 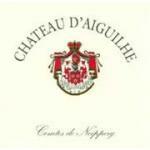 I bought the Château d'Aiguilhe wine online. Brillant ruby red colour, high layer. It resembles a red fruit compote. Stays a quite a few time in the mouth. I purchased various bottles of Château d'Aiguilhe 2015 in a supermarket. Nice and pretty colour. It smelled of oak. A Castillon-Côtes-de-Bordeaux with a very good acidity. A red for any occassion. It was a birthday present for my friend. Almost brown edges. The 2015 smells like violets. Fleshy. Chocolate coulant taste. Pleasant smell of tea. 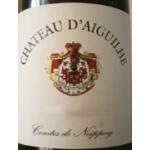 It is the lightest Château d'Aiguilhe I've tasted . It smells like wild berries. A surprising fruity wine. I would recommend this and the other vintages of this 2013. I found it at home, can't remember where I bought it. At sight, it offered an intense cherry colour. Complex scents of chocolate and toffee. A slight flavour of raspberries this red. 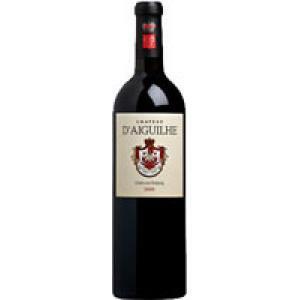 If you want to buy 2016 Château d'Aiguilhe, at Uvinum you will find the best prices for Castillon-Côtes-de-Bordeaux red wine. Get it now at Uvinum, fast and 100% secure. We have more than 59.000 products for sale in our catalog which makes us leaders in the sector of selling wine, beer, and spirits in Europe with more than 38.000 clients who trust us.